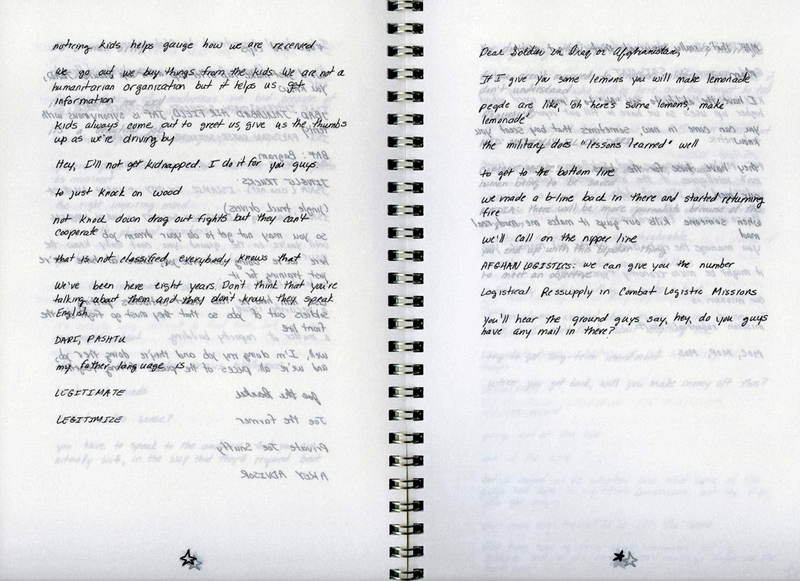 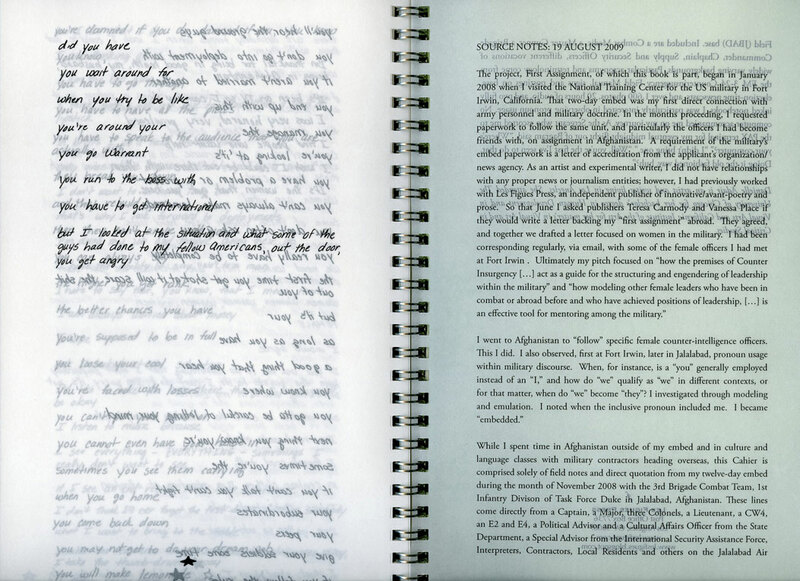 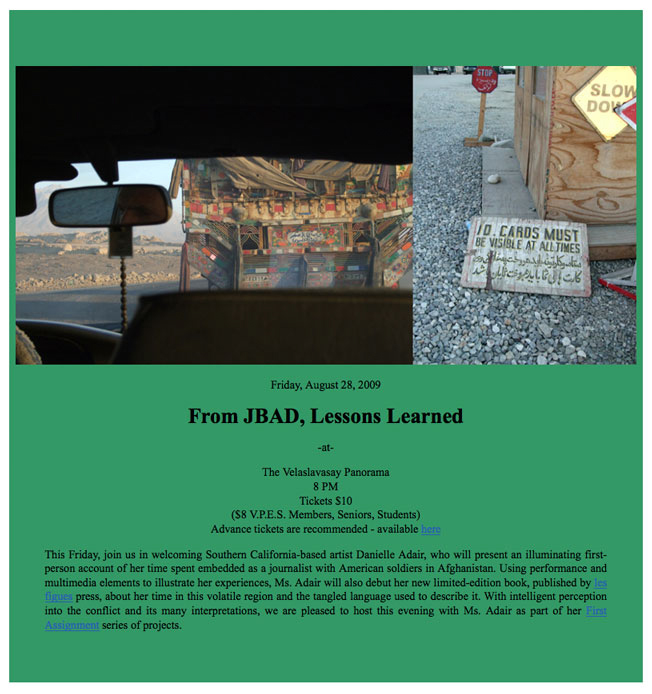 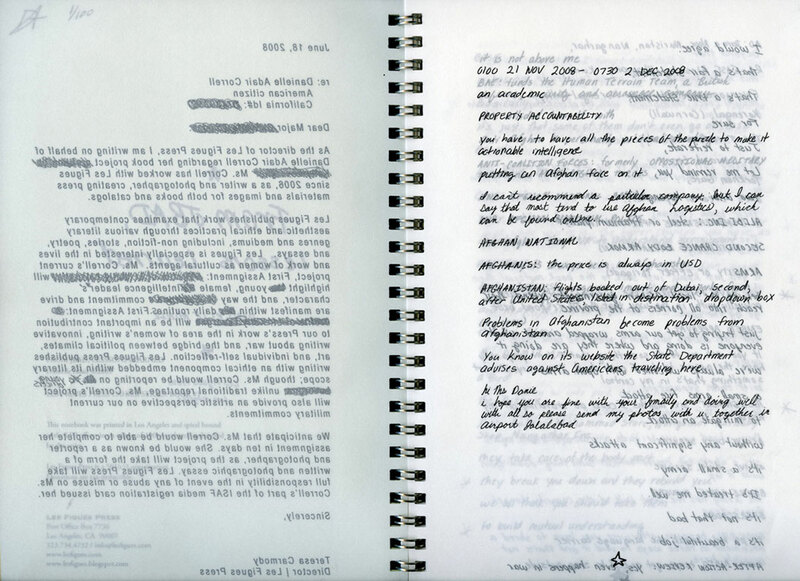 From JBAD, Lessons Learned takes its design from the US Army and Marine Corp’s Counterinsurgency Field Manual and is comprised entirely of field notes and direct quotation from a “media embed” with US Forces stationed in Afghanistan. 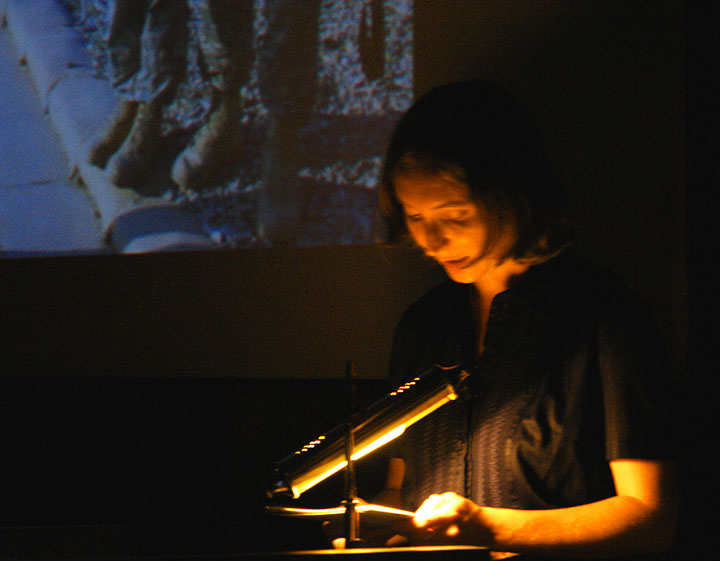 The artist book/ performance score is part of the project FIRST ASSIGNMENT. 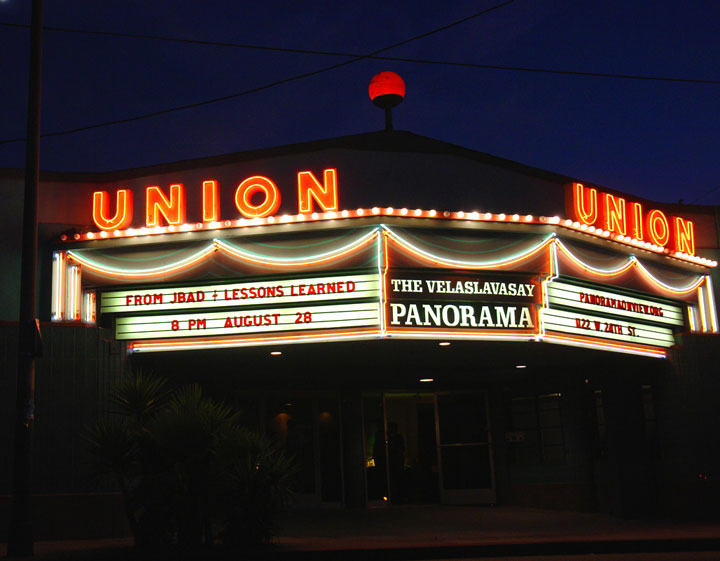 The book’s launch was held at The Velaslavasay Panorama theater in Los Angeles, on August 28, 2009.